What would you do with £20.2 million? Well for that amount of money you could buy a fleet of Bugatti Veyron’s and paint them each colour of the rainbow, or perhaps you’d want to buy 4 of Chris Evan’s 250 California Spider, or buy 2 of Elizabeth Taylor’s Van Gogh’s at £10 million a piece. 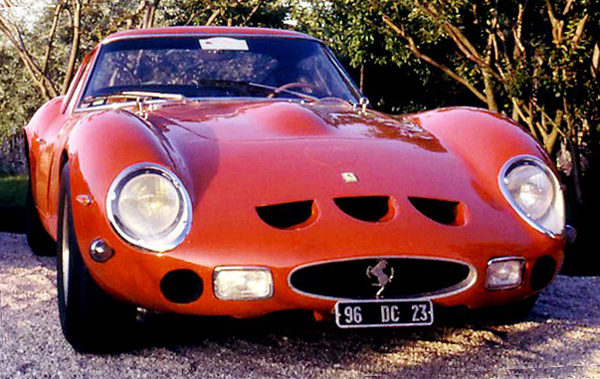 If you’re feeling like spending it all in one place, go purchase yourself a 1963 Ferrari 250 GTO. Which has just broken the record for the most expensive car ever sold in Britain. Who would have thought that when Mr Hunt, of Foxton estate agency fame (which he sold for £370 million), would have made a £4.5 million profit after buying the car 3 years ago. The car was originally sold at a price of £6,000 which in today’s money is probably around £98,000. Still a fraction of the price at which the super cars of today are being sold, the question is will the cars of today be as good of an investment as this Ferrari has been to Mr Hunt? Of course, it’s not just a beautiful car that you get for that price, but a piece of automotive history. With plenty of racing prestige under it’s belt.